During our very first FCAP Convention, which was held in 1971, three men stayed up through the entire night praying through and formulating the constitution upon which the FCAP Ministry was founded. Those three men were Joe Ivey (Delta), Lew Rabbitt (Eastern) and Les Nimigan (Christian Transportation/Toronto, Canada). The morning after, they presented the proposed tenants of the constitution to those present at the convention, and all agreed this was what was desired and needed. Therein, the Fellowship of Christian Airline Personnel was officially formed. 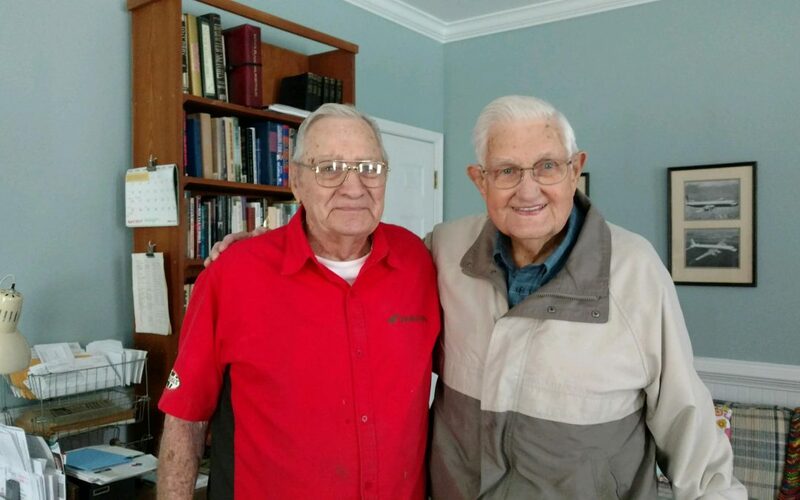 Les has been home with the Lord for a number of years now, but Joe and Lew continue to faithfully minister among us. Their unwavering commitment to the Lord Jesus, their steadfastness in seeing His truth and righteousness go forth throughout the airlines of the world and beyond, and their fervent prayer support have been an example and encouragement to so many over these years. Thank you, Lew and Joe!